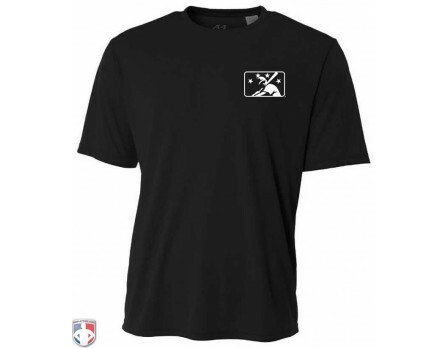 This is your required black base shirt (without pocket) that is dye-sublimated with the MiLB logo and USA flag. SIZE RECOMMENDATION: Dye-sublimation shirts are made with a sports performance fabric. 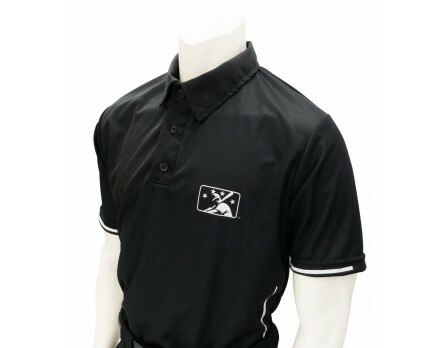 For the base shirt, we recommend ordering your normal-sized polo shirt to give a comfortable and athletic appearance. LAUNDRY INSTRUCTIONS: Machine-wash shirts and pants in COLD water, separate from team uniforms and towels. Hang to dry or use low heat. 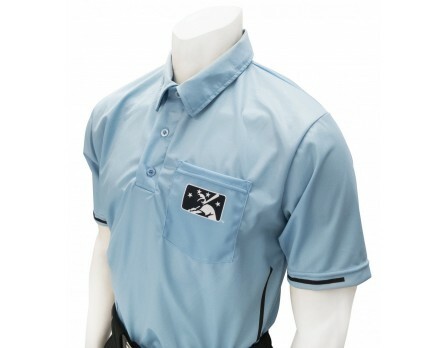 Please kindly advise the clubhouse attendant about the specific uniform care. Very true to size. 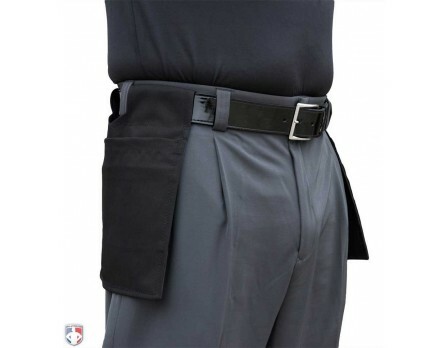 I like that there's no pocket on the base shirts. Congratulations to the following MiLB Umpires who were selected to work their respective League Championship games! 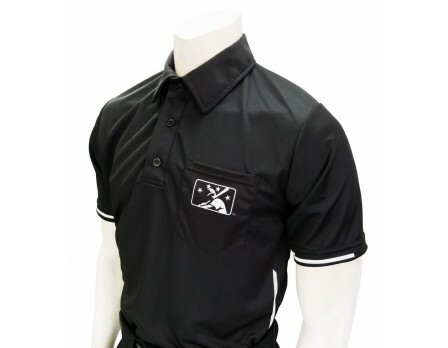 Ump-Attire.com is the proud umpire uniform supplier to Minor League Baseball. 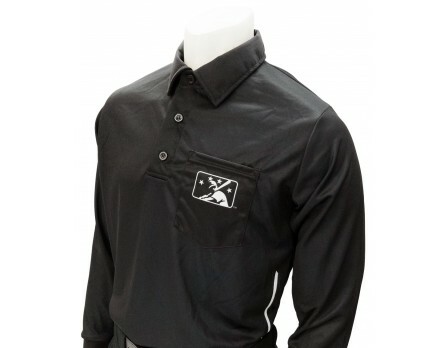 Congratulations to the MiLB Umpires Selected to their respective league's All-Star game. 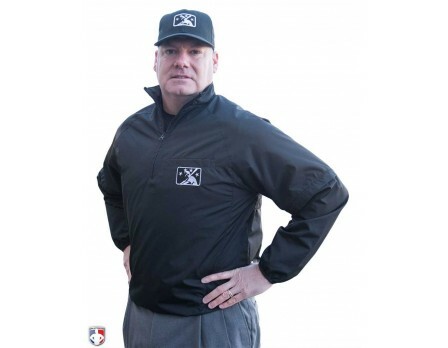 Ump-Attire.com is the proud umpire uniform supplier to Minor League Baseball.